One might not have a budget of an oligarch, but they can have a car like one. This is how Audi Q7 is marketed. 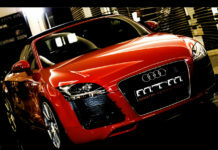 It is a huge seven-seater SUV that crams more technology than any other Audi model. 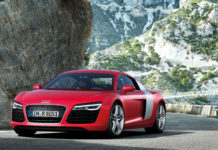 The diesel engine is matched to an eight-speed automatic gearbox and Quattro four-wheel drive. Rivals include the BMW X5, Land Rover Discovery and Volvo XC90. The Q7 being an SUV offers great spatial specs. While the new Q7 is slightly smaller on the outside than its predecessor, it’s also more spacious for passengers. 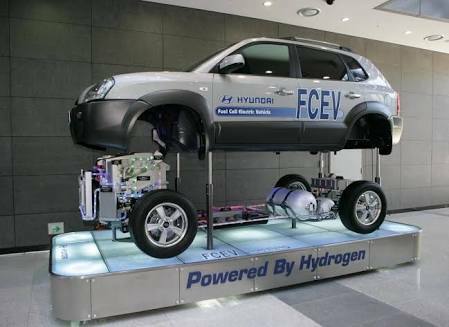 The third row of seats power out of the floor on electric motors. Once raised, provide enough room for two small adults to travel in reasonable comfort. The three individual middle row seats slide and tumble forwards to allow for good access to the third row, and when back in place offer lots of room; three adults will fit comfortably, although the person in the middle will need to straddle a wide lump in the floor. The Q7 feels equally vast in the front, with plenty of storage. Indicative of its size, the Q7 also offers decent boot even when the third row is in use. Fold them away meanwhile, and the 770 litres on offer trumps even the biggest estate cars. The loading lip is 5cm lower than that of the previous Q7. In the event of needing yet more room, you can also fold the middle row seats completely flat. The only oversight is a lack of anywhere to store the parcel shelf when the third-row seats are in use. You’d expect it to be comfortable and it is. The 3.0-litre diesel engine is incredibly smooth and quiet. There’s very little in the way of wind or road noise to trouble you. This makes it a great car for long journeys. The optional air suspension does a good job of smoothing out bumps in the road. It also prevents the car’s body from leaning or lurching too much through corners. The driving position offers a commanding view over traffic, and all seats are large and comfortable. In the third row, my only criticism is that your knees are forced above your hip point. Although, the same can be said of rival seven-seater SUVs. Until the arrival of the new A8 luxury saloon, the Q7 represents the pinnacle of Audi interior design. This includes the stylish and beautifully constructed dashboard. The main central screen glides on motors out of the top of the dash when you switch on the ignition and can be controlled via a combination of rotary knob, buttons and touchpad. It sounds complicated, but in fact is for the most part intuitive to use, giving access to satnav, telephone, music and internet functions. The standard analogue dials can be upgraded to Audi’s 12-inch “Virtual Cockpit” display. This allows you to place the satnav instructions and map within the instruments. While a great system on the TT, it seems a little bit superfluous on a car that already has a large central screen showing the same information. 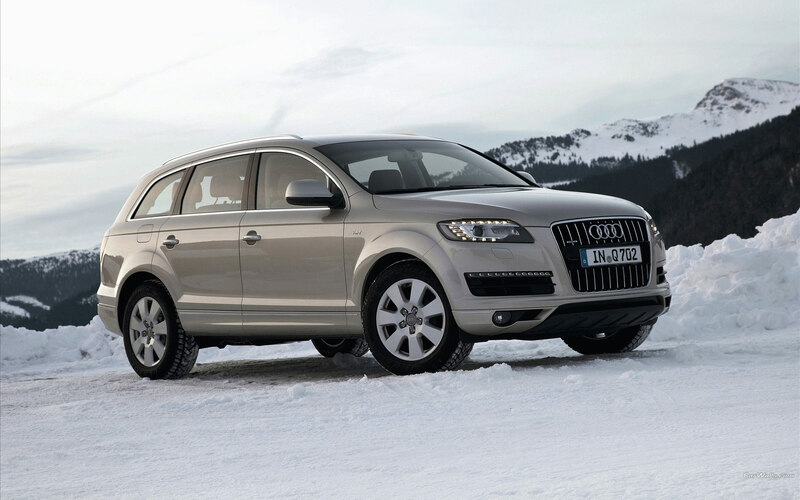 On the open road the Q7 is a breeze to drive, thanks to its smooth shifting eight-speed automatic gearbox. The more expensive 272bhp version offers effortless acceleration, making it easy to overtake slow-moving traffic. Where the car struggles is in narrow lanes or busy town centres. Its sheer size can make it feel rather intimidating. Visibility over your shoulder is also restricted, so you have to rely on the proximity sensors when parking. 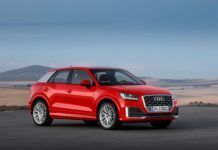 Audi does have one trick up its sleeve that should make the Q7 easier to drive, and that is an optional four-wheel steering system. That provides a smaller turning at low speeds and improved stability when travelling quickly. In reality though, it’s difficult to gauge how much effort you need to put in, particularly at low speed, making it all too easy to take a tighter line than intended. Stick with the standard steering set-up – it’s cheaper and far more intuitive. With the ability to accelerate from 0-62mph in just 6.5sec, and correspondingly brisk acceleration above that point, the 272bhp version of the Q7 certainly doesn’t hang about. But fast alone doesn’t necessarily mean fun, and the fact is that as much as this 2.1-tonne leviathan tries to hide its mass, you can’t bend the laws of physics. So driven quickly you tend to feel as though you are crushing a road into submission as opposed to enjoying the natural flow of its corners; a rather soft brake pedal doesn’t always instil the utmost confidence when slowing down either. Audi’s warranty lasts for three years or 60,000 miles – whichever comes sooner. Whereas Mercedes and BMW both offer three-year, unlimited-mileage warranties. The other note of caution I’d sound here is that Audi’s score in the Warranty Direct Reliability Index, which is based on actual warranty claims, is pretty low. There’s adaptive cruise control that’ll hold a set distance to the car in front. Traffic jam assist goes one better by taking over the steering and brakes at speeds up to 37mph. As an option you can order numerous cameras and sensors that warn you of approaching vehicles. For example, pulling out on to a busy road or reversing out of a parking space. There’s even a system that monitors space around the car and warns you of approaching cyclists or pedestrians before you open the door. 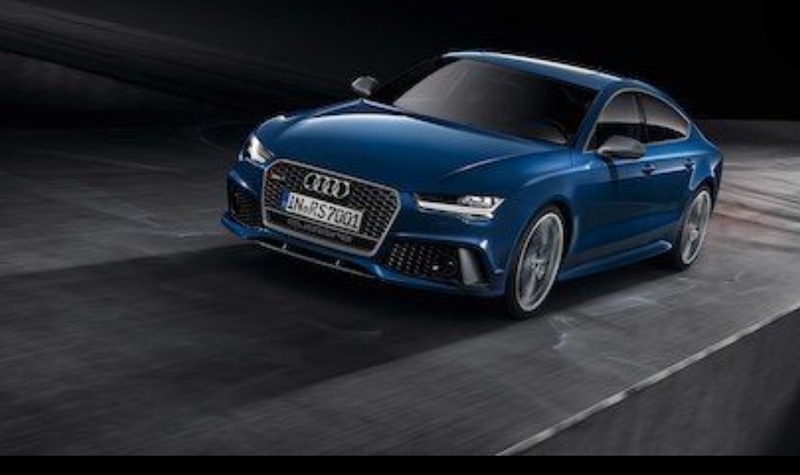 While many of these systems cost extra, Audi does fit all models with an autonomous emergency braking system that will slow or even stop the car if it senses and impact is imminent with a car or object in front. A couple of numbers of note are the eight airbags and six Isofix child-seat mounting points.